Here is the full Google Earth capture from which the Header Image was cropped. 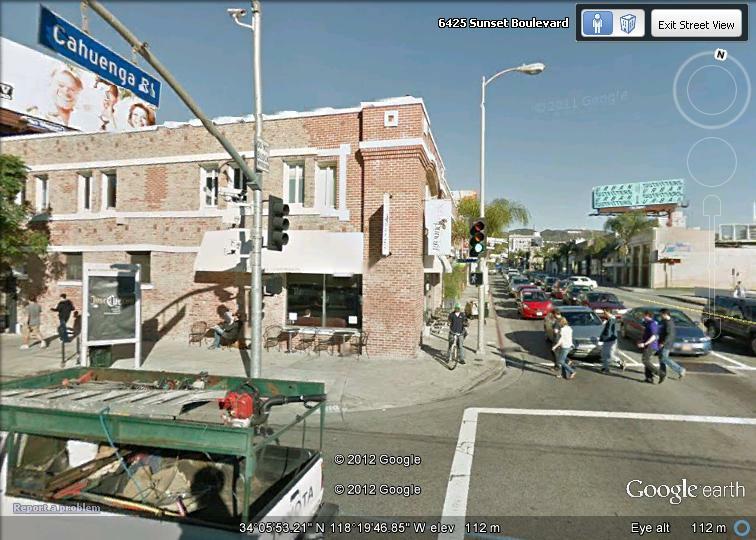 It is the Ground Work tea shop, on Sunset Blvd, opposite CNN, in LA. Comments: Comments Off on Sumpnado about nuthin. THEME is Sapphire by Michael Martine.